Did you know that you can share bookmarks that you have created with your colleagues? When you create a bookmark, either to add directly to a resource list or for later use, all bookmarks are saved to your ‘My Bookmarks’ tab in Resource Lists @ Edinburgh. To share these with your colleagues requires just a few quick steps. This entry was posted in Library, Online library resources, Research & Learning Services and tagged Resource Lists @ Edinburgh, Tuesday Tips, User guides on February 24, 2015 by Stephanie Farley - Library Learning Services. Recently we looked at how you can get the most from your Dashboard but did you know you can also export your Dashboard into a PDF to share with colleagues? There are various ways to export your Dashboard, or any website, into a PDF no matter which browser you are using. Below are instructions on how to do this in Internet Explorer, Firefox, Chrome, and Safari. This entry was posted in Online library resources, Research & Learning Services and tagged Resource Lists @ Edinburgh, Tuesday Tips, User guides on February 17, 2015 by Stephanie Farley - Library Learning Services. Use the Resource List tool in Learn and Moodle to promote your Resource List to students. We have found that academics responsible for each of the top ten most viewed lists use the Resource List Tool in Learn to promote their list(s) to students. We recommend embedding your list in your Learn or Moodle course. This is very quick and easy to do using the Resource Lists Tool. This entry was posted in Library, Online library resources, Research & Learning Services and tagged Learn, Moodle, Resource Lists @ Edinburgh, students, User guides, VLE on February 12, 2015 by Stephanie Farley - Library Learning Services. 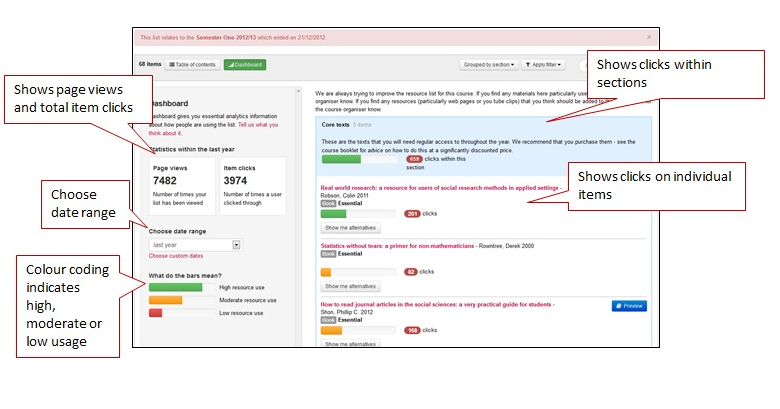 Did you know that Resource Lists @ Edinburgh (using Talis Aspire) includes a Dashboard with feedback on how often your resource list is being used and which items on your list are popular with students? Note: you will need to be signed in in order to view the ‘Dashboard’ button on your list. To view the Dashboard for your resource list click on the green ‘Dashboard’ button at the top of the list. A short tutorial on Dashboard statistics will be provided, you can choose to read through the tutorial or exit at any point. This entry was posted in Library, Research & Learning Services and tagged Dashboard, Resource Lists @ Edinburgh, User guides on February 10, 2015 by Stephanie Farley - Library Learning Services. We now have around 300 published resource lists for courses across the university and as this number steadily grows so too does the number of students now accessing readings and resources via Resource Lists @ Edinburgh. To provide more information about the service and the many ways it can benefit students we have included an ‘Information for students’ section on our website and created a short guide with some hints, tips and tricks on how to get the most out of this service. The new page is now live on the Resource Lists @ Edinburgh using Talis Aspire website and includes a link to the Resource Lists @ Edinburgh using Talis Aspire: A Guide for Students (PDF). Please feel free to point students towards either the webpage or the pdf document. Both can easily be found by linking directly or by using the search function on the University website. This entry was posted in Research & Learning Services and tagged Resource Lists @ Edinburgh, students, User guides on January 16, 2015 by Stephanie Farley - Library Learning Services. Library Learning Services and our interns have been working hard to transfer your reading lists on to Resource Lists @ Edinburgh. But once this process is complete and the lists have been handed over to you, what’s next? Viewing, navigating and editing your list. Important: We are still accepting lists! If you have a reading list that you would like us to transfer onto resourcelists.ed.ac.uk please let us know. This service also includes providing a summary of the items on your list, with information on how many are held and at what locations. 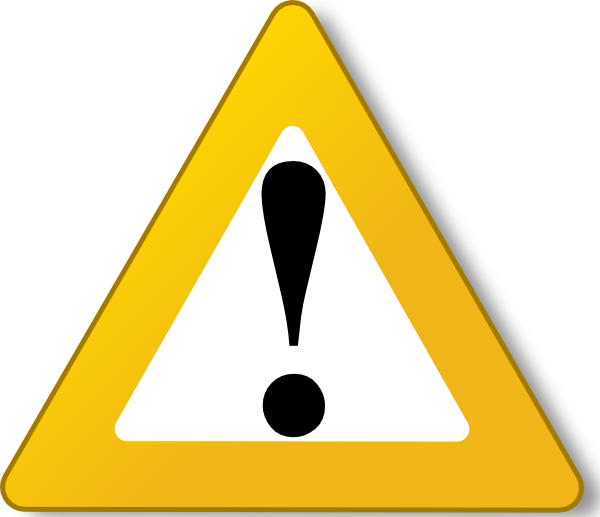 This means you can see in advance where additional materials might need to be ordered or moved into reserved/short loan sections of the library. This entry was posted in Library, Research & Learning Services and tagged Library Learning Services, Resource Lists @ Edinburgh, User guides on August 6, 2014 by Stephanie Farley - Library Learning Services. Once a list has been published on Resource Lists @ Edinburgh it is ESSENTIAL that the list is then linked to the hierarchy. The hierarchy is a virtual representation of the organisational structure at Edinburgh. The hierarchy is taken from the Degree Regulations and Programmes of Study (DRPS). So course names and codes should accurately reflect current modules on offer. We have just uploaded the DRPS for the 2014/15 academic year so your course/module should be active and ready to link to your resource list. Please contact your Academic Support Librarian or the IS Helpline if your course is not listed and we will add it asap. To allow students to browse to find their resource lists. In order to allow integration with the VLE (i.e. Learn & Moodle). To make sure lists are available in subsequent years. To generate stable URLs for resource lists which you can then use to promote lists to students. We are also running a ‘Hands-on’ introductory session to Resource Lists @ Edinburgh this Wednesday 30th July. Sessions are bookable via MyEd or contact us directly. This entry was posted in Library, Research & Learning Services and tagged Library Learning Services, Resource Lists @ Edinburgh, User guides on July 29, 2014 by Stephanie Farley - Library Learning Services.